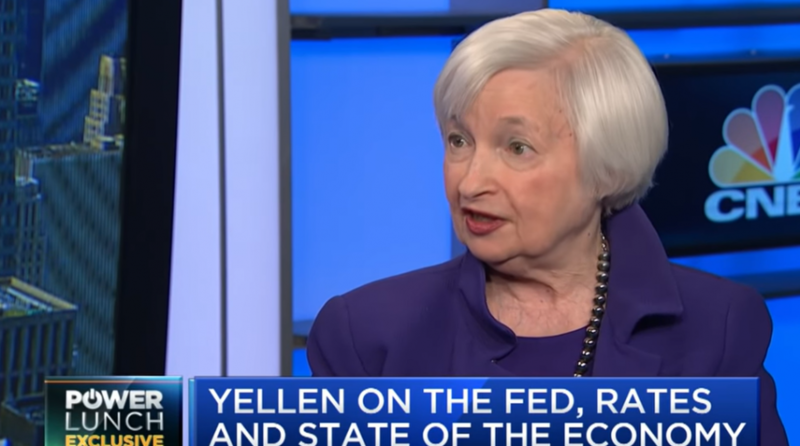 In a surprise move from her usual tendency to avoid engaging in a verbal fisticuffs with U.S. President Donald Trump, former Fed Chair Janet Yellen threw her own jab, saying in an interview with Minnesota Public Radio’s “Marketplace” that the president doesn’t have a grasp of economic policy. Yellen’s comments come as President Trump is citing progress in trade deal negotiations with China. Trump said he would delay any additional tariffs on Chinese goods while negotiations are still underway for a permanent trade deal. Nonetheless, Yellen sees fallacies in the president’s views regarding trade. “And when I continually hear focus by the president and some of his advisers on remedying bilateral trade deficits with other trade partners, I think almost any economist would tell you that there’s no real meaning to bilateral trade deficits, and it’s not an appropriate objective of policy,” Yellen said.